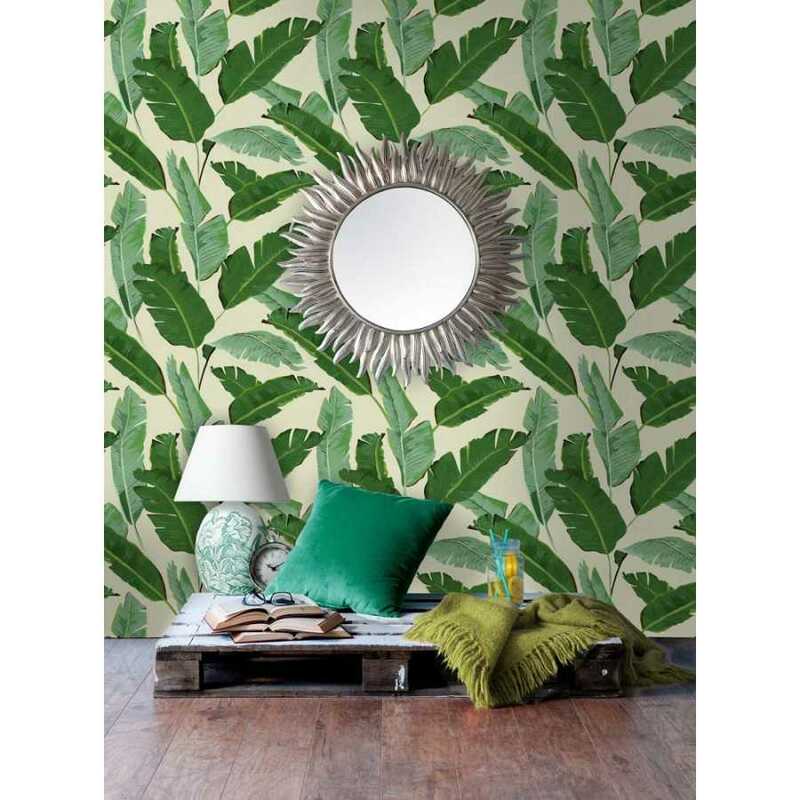 The Banana Leaves Wallpaper is a fun and vibrant collection of banana leaves that feature either a dark green shade or a pastel green shade depending on the side of the banana leaf. The different tones of green create a three-dimensional effect adding depth and dimension to your interior design scheme. 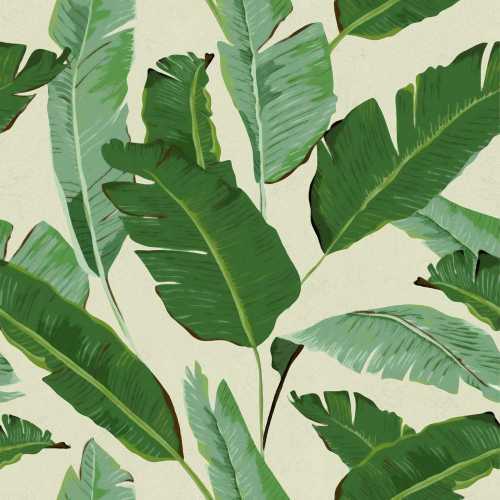 This rich arrangement of exotic leaves will add a tropical theme to your home or commercial space for a bright and uplifting atmosphere. The detailed green banana leaves sit on a light cream coloured background with the negative space adding a calmness to what would otherwise be a bold and busy wallpaper design. Place the MINDTHEGAP Banana Leaves Wallpaper on a single wall or on all four walls for a bold, high impact interior décor scheme.